Home / charts / Jason Aldean / Jason Aldean Scores No. 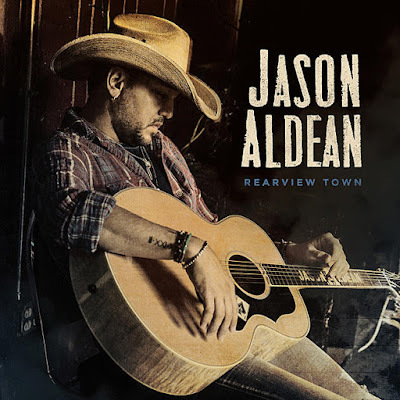 1 Album Worldwide With "Rearview Town"
Jason Aldean Scores No. 1 Album Worldwide With "Rearview Town"
Country star Jason Aldean scores the No. 1 album worldwide with his latest project, Rearview Town, debuting atop the chart with 191.000 equivalent album units sold. Dropping to No. 2 we have Cardi B's Invasion Of Privacy with 166.000 units and climbing to No. 3 we have The Greatest Showman OST with 142.000 units sold! Jason Aldean conquista esta semana o álbum #1 mundialmente com Rearview Town a entrar diretamente para o topo desta tabela com 191.000 unidades vendidas! A descer para o #2 temos Invasion Of Privacy de Cardi B com 166.000 unidades e a subir para o #3 temos a banda sonora de The Greatest Showman com 142.000 unidades vendidas!